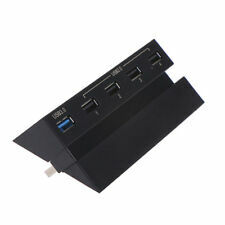 One ultra-fast USB 3.0 port for an external hard drive and 4 USB 2.0 ports for other device. Under the influence of light and the display, the color difference may decrease slightly. 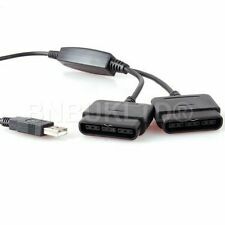 5-port USB expander hub specially designed to fit the Sony Playstation 4 console. LED Indicator blinks slowly: The Bluetooth is not connected yet. LED Indicator LED Indicator blinks quickly: The Bluetooth is syncing. LED Indicator lights up: The Bluetooth has been paired. Platform Nintendo Switch. Collection for all order available from our distro in Luton. INVADER CARDS @InvaderCards. Includes AC Adaptor, AC Power Cord and USB cable (type A- Mini B). O Single fire / Dual Fire / CD32 emulation mode. You can read more information about the adapter here:Adapter PDF. And watch video demonstrations here:Adapter VIDEO1 andAdapter VIDEO2. 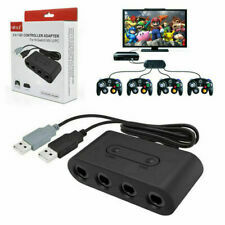 Features: The GameCube Controller Adapter allows you to connect up to four GameCube controllers (or wireless GameCube controllers) to a Wii U system and PC USB With two GameCube Controller Adapters, up to eight GameCube controllers can be used at the same time Switch to “Wii U” or “PC” mode by using the switch located on the side Supports the GC/Wii Emulator Dolphin. 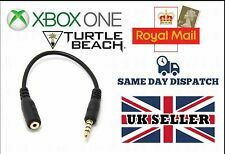 MICROSOFT XBOX 360 OFFICIAL GENUINE PLAY CHARGE CABLE USB CHARGING CHARGER . Condition is Used. Dispatched with Royal Mail 2nd Class. Get your Dreamcast Super Converter NOW!!!!! Brook Super Converter series makes your controller compatible with classical consoles. It does not only save your money, but also you can use the controllers you are accustomed to. Let us back to our childhood; enjoy playing the games on Dreamcast console. Description: Brook Super Converter series makes your controller compatible with classical consoles. It does not only save your money, but also you can use the controllers you are accustomed to. Let us back to our childhood; enjoy playing the games on Dreamcast console. .
Not suitable for e1000, or 2000/3000 Series models. Multitap - Connects up to 4 players for multiplayer action. A/V Selector - Connect up to 5 devices. Compatible with the following systems: All Amigas with parallel printer port. Simple plug and play, suitable for all Amiga joysticks. COMMODORE AMIGA 4 PLAYER JOYSTICK ADAPTER. Video Adapter Cables. Updated Version.The newest chip design.Japanese expert R&D. Nintendo Wii Motion Plus Accessory. Warning!!!! Please check the compatibility of the product at the brook official web site before you place the order because NOT all the brand or models of the controllers / wheel / Joystick are compatible with the brook adapter! .